-> See all commands in an extension. -> Get help for one command in an extension. -> Shows current symbol path. -> Adds path to symbol path. -> Shows current source path. -> Adds path to source path. -> Shows .NET version and SOS version. -> Loads the right version of SOS when mscorwks.dll gets loaded. -> Shows all app domains and their assemblies/modules. -> Shows Method Tables (types) defined and referenced by a module. -> Shows Method Descriptors of a Method Table. -> Shows Method Descriptor and jitted Code Address of a method. -> Sets breakpoint on method by Method Descriptor. -> Sets breakpoint on method by jitted Code Address. -> Sets breakpoint on method by module and name. Windbg will open source code files automatically. -> Steps into (F11 or F8). -> Shows unmanaged + managed call stack. -> Shows unmanaged + managed call stack with unmanaged parameters. -> Shows managed call stack. -> Shows managed call stack with Method Descriptors. -> Shows managed call stack with parameters. -> Shows managed call stack with parameters and locals. -> Shows unmanaged + managed call stack with frame numbers. open the source code file automatically. -> Gets a Method Descriptor that we can use with !DumpIL. -> Writes a loaded dll to disk. -> Gets Code Address of an unmanaged or managed jitted method. source code lines if we have private symbols. Code Address, and marks that address with ">>>". is usually the 'this' pointer. second parameter (_fastcall calling convention). -> Typically used to hold the 'this' pointer as copied from ecx. -> Shows all threads (managed and unmanaged). -> Shows time consumed by each thread. -> Switches to thread 0. -> Switches to the thread where the debugger broke. -> Shows all unmanaged + managed call stacks in all threads. -> Shows all managed threads. -> Shows managed calls in all threads. 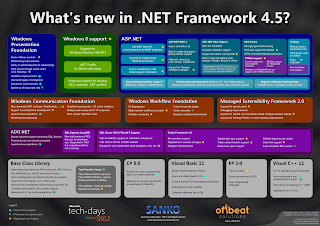 -> Shows all .NET related threads (managed and unmanaged). timers and completion port threads. -> Shows object info but not fields. Good to see i.e. Strings. -> Shows value type structs ('VT = 1' in '!do'). a class created before any method invocations are made on it. -> Shows the static fields of a class. heaps we have in server mode. -> Shows if Preemptive GC is enabled on a thread. -> Shows all objects in the heap. a given type/Method Table, etc. -> Shows all objects in the heap of a given type/Method Table. -> Shows all objects in the heap which class name contains a text. -> Shows all objects in Large Object Heap (LOH/Gen 3). which objects in the heap have a Finalize method. -> Shows all finalizable objects in Gen 0. -> Shows all finalizable objects of a given Method Table/type. -> Shows references to an object. -> Shows the size of an object including its child objects. -> Generates a log file which can be analyzed with CLR Profiler. -> Checks the heap for signs of corruption. -> Shows statistics of GCHandles. -> Tracks down GCHandle leaks. -> Shows the object a GCHandle references. -> Shows the number of assemblies in the heap. -> Shows metadata of a module in an assembly. -> Shows Loader Heap size and modules. -> Break on all CLR exceptions. -> Break on a specific CLR exception type. -> Break on all exceptions which derive from a certain type. hit, but the debugger won't break on them. -> Shows exception object info. -> Shows exception info of last exception thrown in current thread. -> Shows exception info of an exception in the heap. -> Shows the line of code where the exception happened. owner and 2 for each waiter. Used with i.e. -> Shows info of a critical sections (unmanaged). Use with i.e. System.Threading.Mutex (not based on syncblocks).